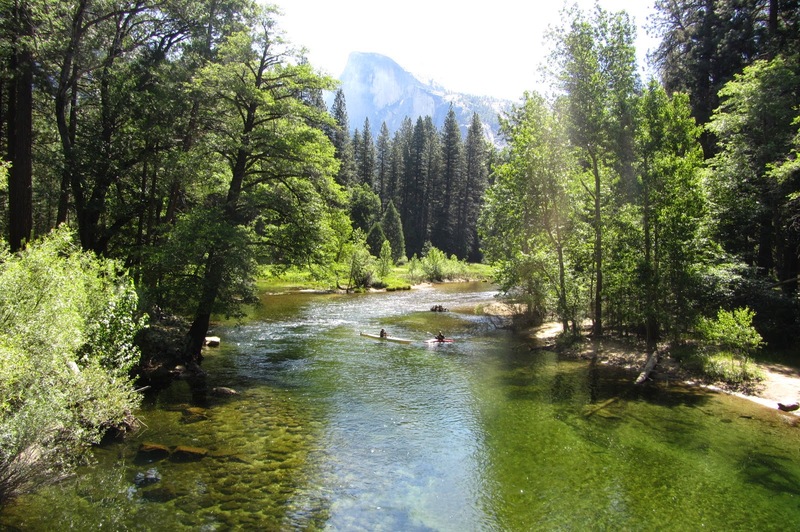 U.S Chronicles - The Splendor that is Yosemite ! And today we go back to my travelogues on the United States to talk about a place that is very very close to my nature loving heart. 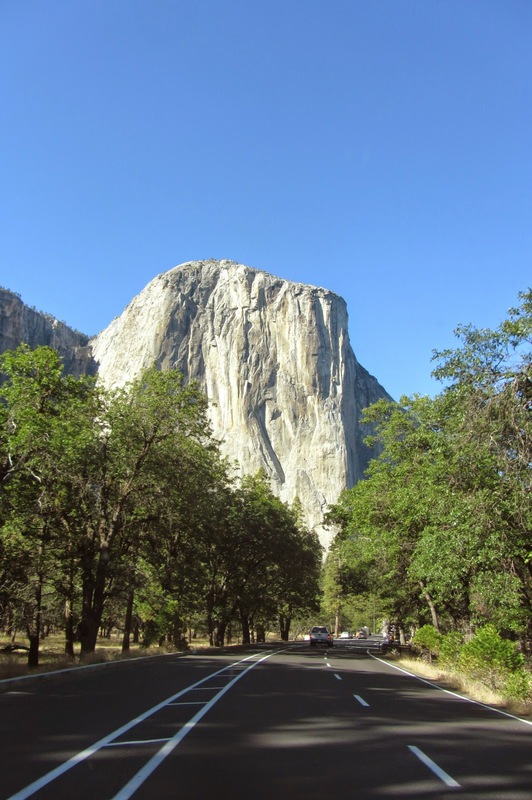 Ever since I planned my U.S trip I knew I wanted to go to Yosemite National Park. I had read a lot about it, heard a lot about it and right from its bear infested wilderness and imposing rocks, to its grassy meadows I wanted to see it all! But things were not going as I wanted. I couldn’t get reservations, I couldn’t figure out transportation and since the park is huge I was not sure which area I should see in the limited time I had. Just as I was at my wits end, I happened to mention all this to Shachi Thakkar, a very dear friend and fellow travel enthusiast. And like a genie she stepped in, soothed my stressed nerves, took things in her own hands and offered to take me to Yosemite. Before we started out from her home in Folsom she asked me if I would prefer to take the freeway or the slightly longer but more scenic rural roads. Naturally I chose the scenic route and what a fantastic drive it turned out to be. Endless stretches of land with long stalks of grass baked brown in the sun, massive farm buildings scattered here and there, horses grazing placidly in pastures. It somehow gave me a feeling of endless space. Even the smallish towns we passed on our way seemed remote and the houses placed really far apart. We could sense the fall in temperature as we neared Yosemite.Yosemite is known for its wide diversity in vegetation and I could clearly see the change in vegetation every few miles. We were driving through alpine country now and the horizon was dotted with asymmetrical, jagged cliffs. 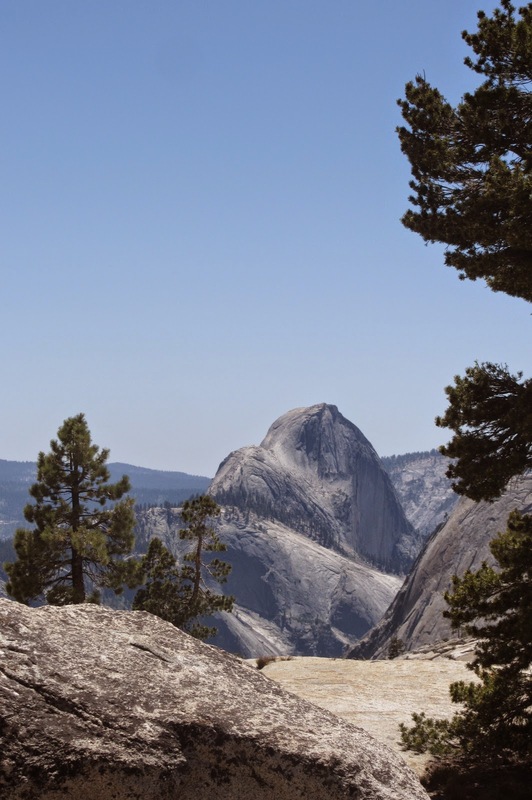 The biggest advantage of going with a person who not only loves Yosemite but knows it like her own backyard is that you end up getting a local’s perspective of it rather than a tourist’s. Shachi showed me a side of Yosemite that I would have never got to see otherwise. 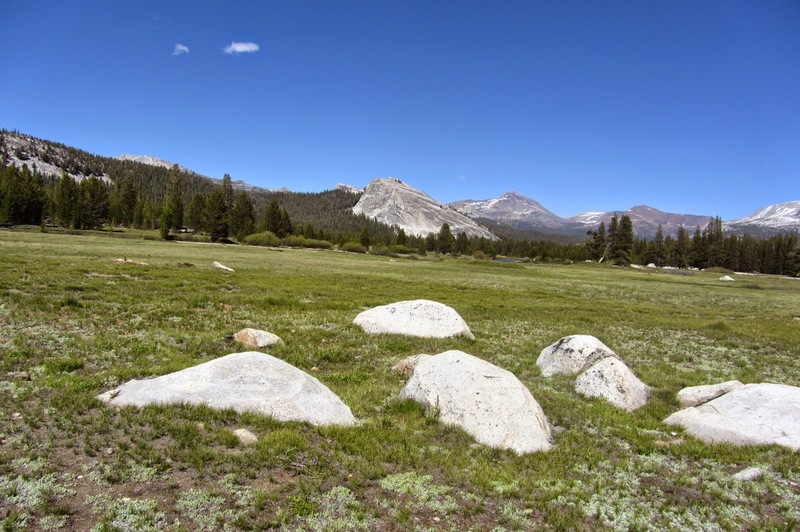 We entered the park from the lesser used Tioga pass and our first stop was Olmstead point. We decided to step off the road and do our own bit of hiking. The trees thinned out after a while till all we could see was granite rocks and cliffs. 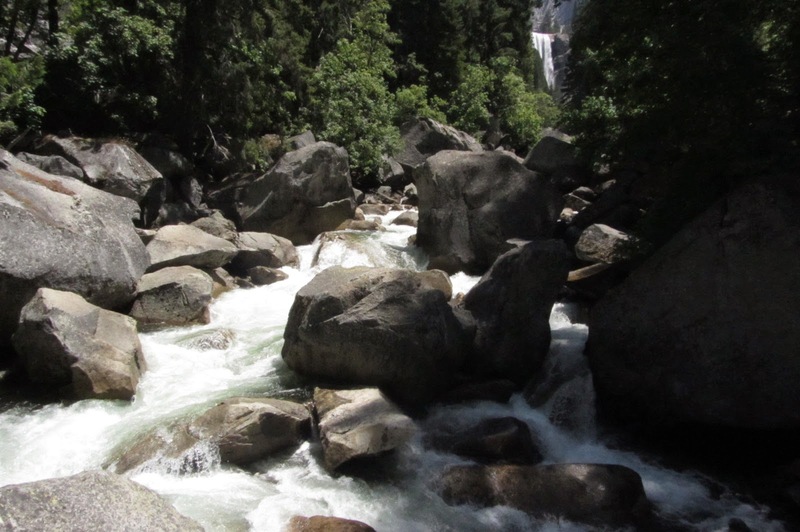 As compared to the more placid and green Yosemite Valley that we would see later, this was hard, unyielding rock. It was all brute strength. It was here that I had my first look of the famed Half Dome. Even from the distance it looked mighty and imposing and very powerful. Like some age old chieftain watching over the park. 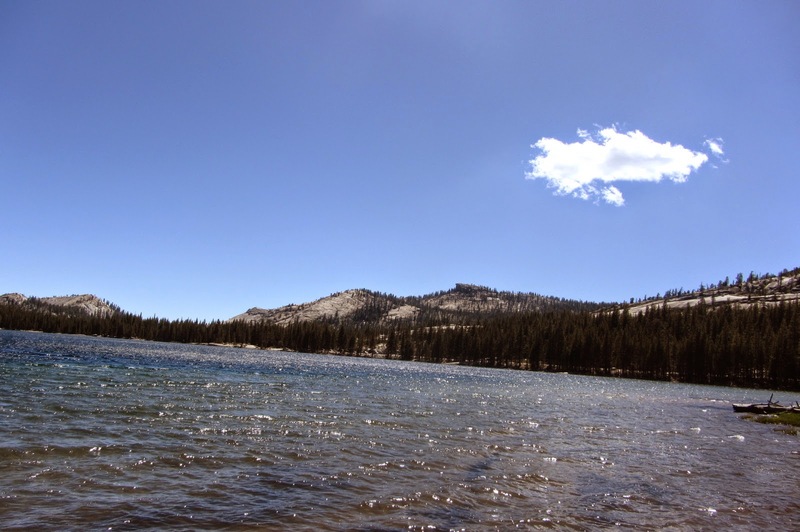 Our next stop was lake Tenaya. Tenaya was totally different from the sheer brutality of the cliffs we had just seen. Ringed by a pine forest, Lake Tenaya was so beautiful, so pristine, so serene that all I wanted to do was sit there and gaze at the splendor around me. The water was crystal clear and a rich dark blue, as if it had pulled in even the blue of the sky reflected in it. In a span of few hours I had seen sheer granite cliffs. 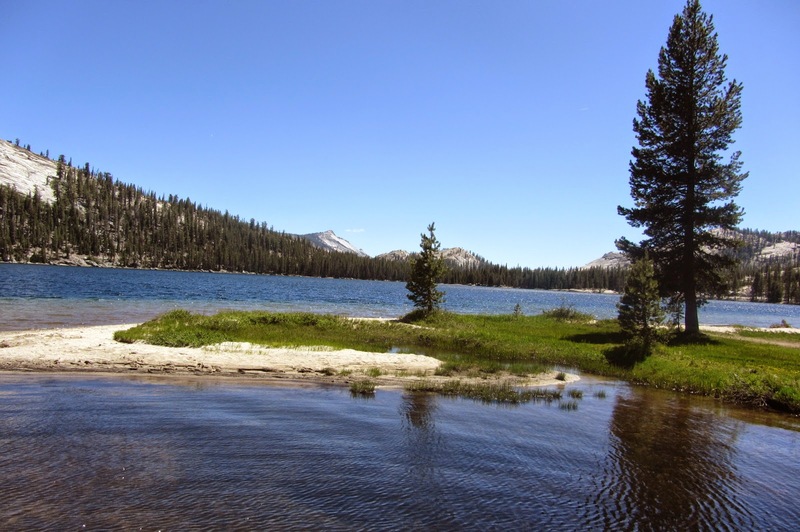 Walked over hard unyielding ground where not even the sturdiest of trees could take root and followed it up with Lake Tenaya, that was a peaceful sanctuary of crystal clear water and alpine trees and greenery. 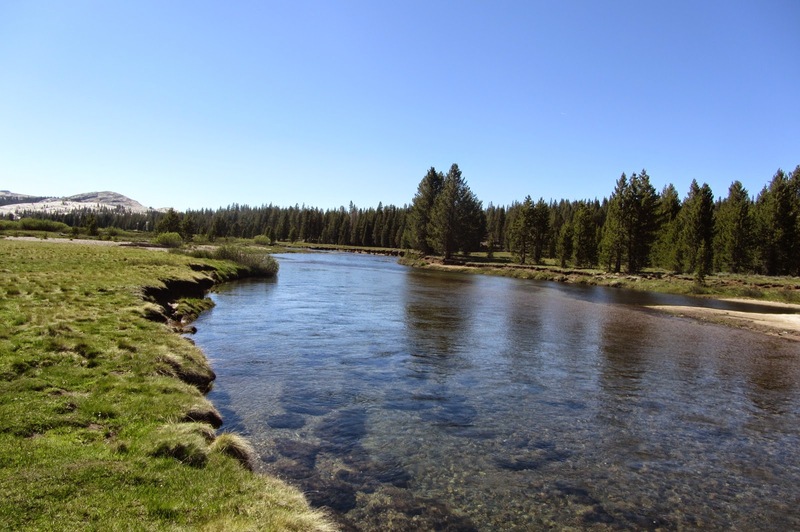 But nothing had prepared me for Tuolumne meadows. The picturesque Tuolumne meadows is surrounded by a lush pine forest and the ever present cliffs guard it like sentinels. Brownish- green grass, knee high at places waved gently in the wind with a river of crystal clear water meandering through it all. Trees grew here and there, as if to break the monotony of the meadow and I could glimpse the early wildflowers peeping through the grass. We were a month or so early for the wildflowers but I could imagine how utterly beautiful the meadows would be with the wildflowers in bloom. We drove on. 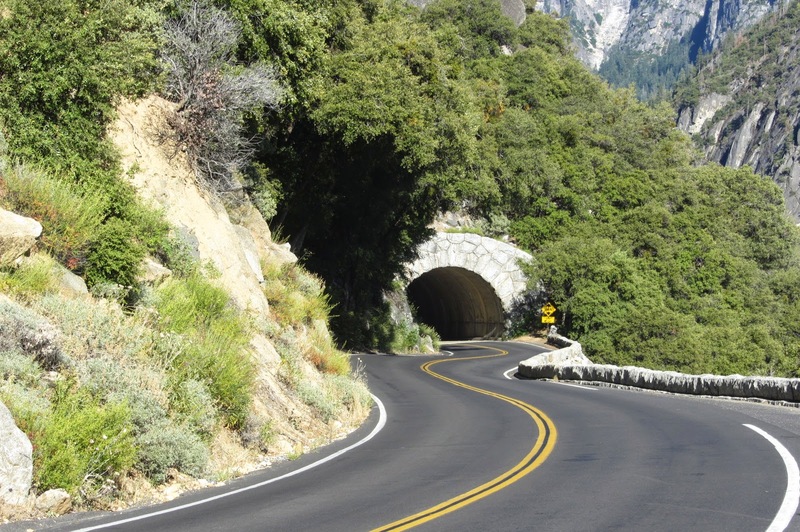 The drive through Yosemite that day was one of the most mesmerizing I have ever taken because never in one place I had seen such diversity of nature. 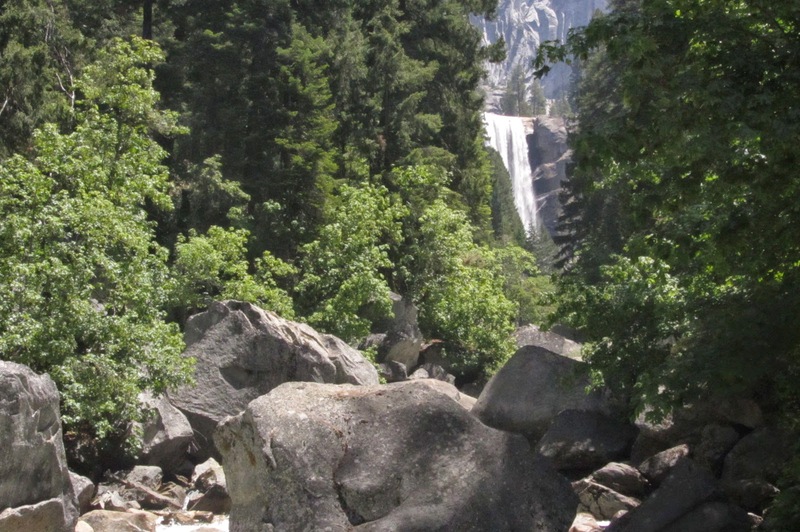 From roaring waterfalls to pristine lakes to scenic meadows and gigantic granite cliffs, Yosemite has it all. The mighty Bulk of El Capitan looms over us. 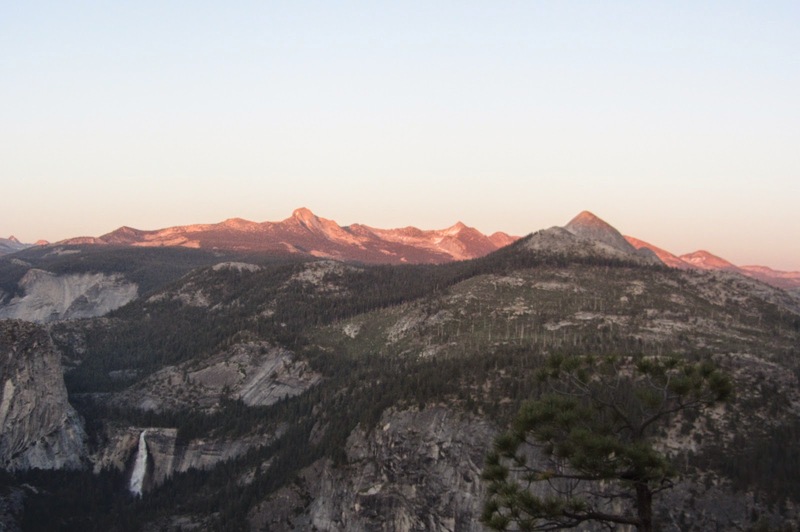 We ended our day with a spectacular sunset over the Half Dome. I was delighted to see our campsite. According to me this was exactly how a camp should be. Tents, bonfires and even communal baths. What I found a total childish delight in was that we also had to put all our food, trash and even toiletries in ‘Bear Lockers'. These were huge lockers made of metal and this was to prevent the bears from breaking into the tents or vandalizing the cars if they smell food. This really got my hopes up. I was sure there would be bears roaming about at night and was very hopeful about spotting a few. Exhausted,we fell into our sleeping bags and feel asleep instantly. In my half dream state I thought I did hear fire crackers being fired to scare away the bears to my disappointment none came near our tent. We did a bit of hiking the next day. Actually ‘bit of hiking’ was how Shachi the super fit adventure enthusiast had put it. But honestly it had me huffing and puffing up an arduous uphill stretch, while Shachi strolled through the same stretchas if it was a plain road ! But the view from the top of the trail was so worth it. 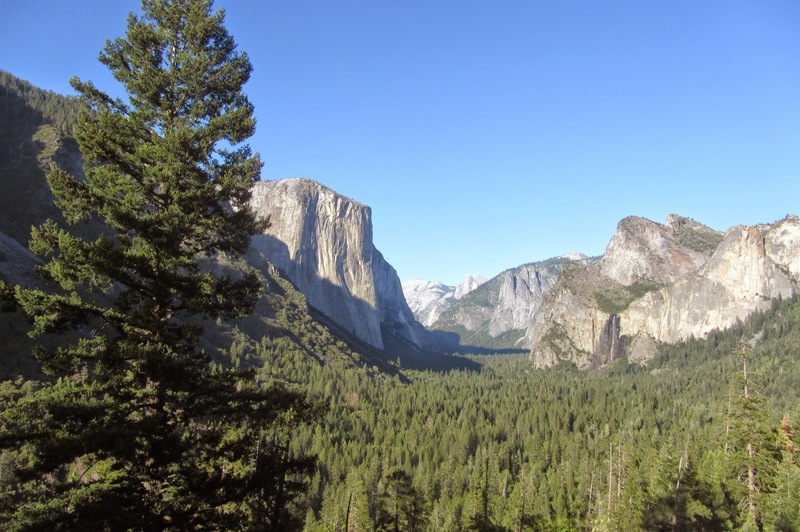 The trip to Yosemite was long yearned for.The two meager days that I spent therer were totally insufficient to take in its grandeur and have just left me thirsting to come back again and again for more. Did you hear that? No? That was the sound of my breath being taken away. Spectacular! Yosemite is spectacular and much more. You absolutely must add it your travel Bucket list ! Mesmerising writing and pictures, Ruch! Oh how I long for those days. I can imagine how much fun it would be to explore Yosemite with Shachi. The bonds we have made and the special friends we've found through IB! It is always fun to travel with like minded people. And Yosemite was an experience beyond description ! Shachi I have known each other for close to 4 yrs now ! . This was a delight to read. The photos are absolutely spectacular. I am so happy you got to see it. I can but hope that someday I would see it too. Shachi is an absolute darling! God bless us all! I do hope you get to see it some day Dagny. From what I know of you as a person, the nature, the serenity and the peace will appeal to you ! And yes Shachi is a darling ! Oh yes Naba, It was a total stress buster. I am so glad you liked it Richa. 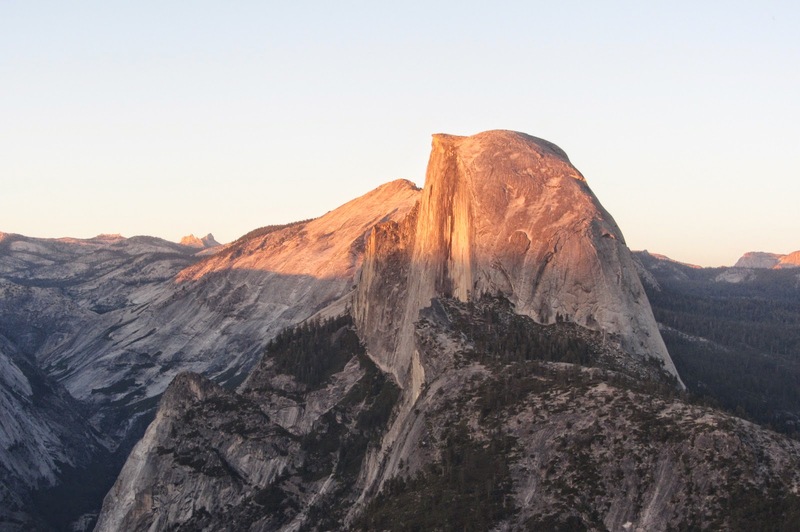 Isn't Yosemite marvelous. Off to read your post ! So sweet of Shachi to take you along a scenic trip. Lovely pics Ruch. This was a lovely narrative and for a travel enthusiast like me this was just the right fodder with lavish sprinkling of images, Ruch! Thank you. So glad you liked it ! Thanks so much Ghata ! Lets see,if someday I get a chance to visit. Thank you ! I do hope you get to visit Yosemite one day ! wow the place looks absolutely stunning!!! Those tall trees, the white rocks, lake!! all so mystical. Welcome here Rajlakshmi,Yes, it was really mystical. What a lovely experience indeed!! I'm going to drag Shachi into taking me too!! :D So very sweet of her! It was a fabulous experience Roshni ! Descriptions from the heart and photos to match. Welcome here Khoty. Thanks so much fro reading ! Stunning photographs! And a thoroughly enjoyable narrative to go with it. I really wanted to visit this marvellous place when we visited California almost two decades ago. But as our luck would have it, that was the year/time when the Federal Govt decided to go on a strike there and all the national parks were closed. O well, maybe sometime in the future....who knows. Till then, I can sigh looking at these pictures and keep hoping. Oh dear ! What a pity you couldn't visit it during your visit. I do hope you get to see the National Parks sometime in the future ! Very pretty. I hope someone from Bollywood reads this post. 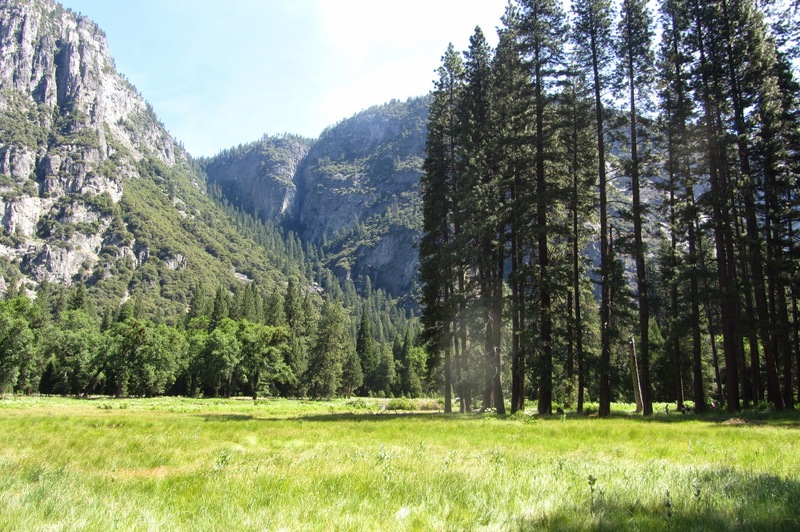 I would very much like for Akshay Kumar and Sonakshi Sinha to do a romantic song from their next film at Yosemite. Beautiful!! Would love to visit it someday. Amazing clicks. Thank you Varsha. And welcome here ! Came back here to read the comments :) - loved the post...a place very close to my heart. I'd take anyone who wants to go anytime of the year - you are all welcome! I think it was also IB's second anniversary, right Ruch? and we celebrated in our own way. There is so much more that this park and the surrounding area has to offer - Mammoth, Mono Lake, Tahoe - the Sierras are wonderful to explore. California is indeed breathtakingly beautiful and I would simply love to do it all with you one day ! That's such a lovely travelogue! I have got a feeling that there is a serene calm that surrounds this place - it was evident from your free flowing narration as well as from the pictures. Hope to make it there some day! Fantastic post. Must visit place in our list, but could not go as we were there in California for 2 weeks only.Enjoyed the virtual tour.Thanks. Fabulous post and beautiful pictures! Most inspiring.